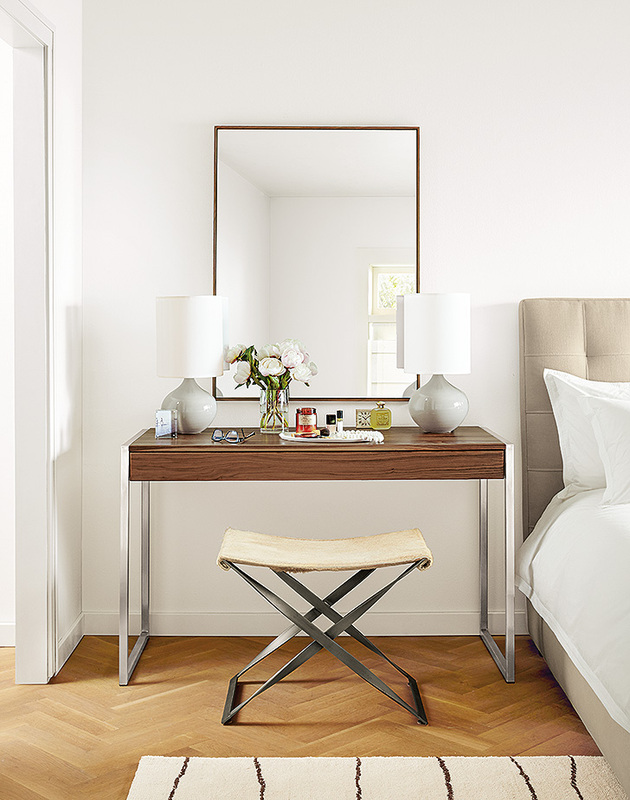 Did you know that most of the lighting you find at Room & Board isn’t available anywhere else? And we’re working to bring you even more exclusive lighting, making it easier than ever to coordinate your lighting with your other Room & Board furniture and accessories. “By designing our own lighting, we are able to ensure our design aesthetic, quality and materials carry through from our furniture to each lamp concept,” says Brian Linehan, Associate Merchandise Manager. Here’s a glimpse into our process and why our lighting is a great value. 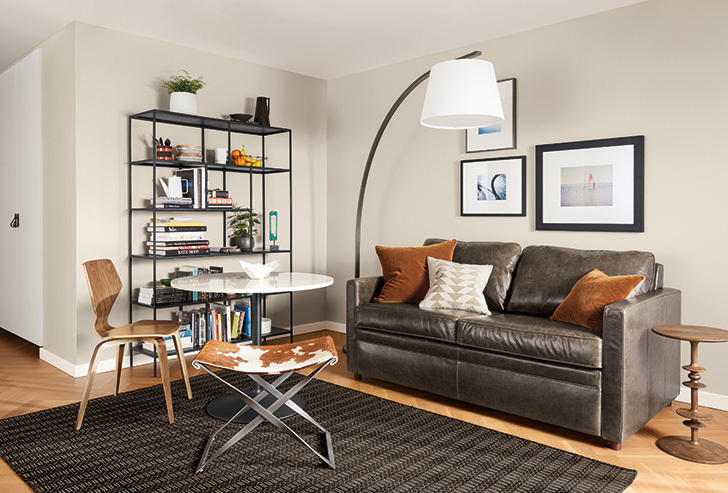 Inspired by an architectural streetlight, we designed the Streeter modern floor lamp with a sinuous curve created from a seamless piece of steel. 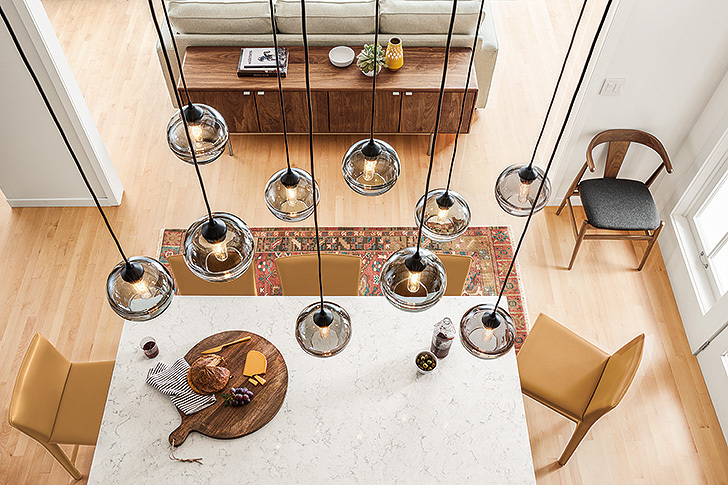 New lighting ideas, from pendants to wall sconces, come from a variety of sources. We’re inspired by artwork and architecture; our manufacturing partners bring forward innovative materials, shapes, and processes; and we listen to our customers. “We are able to take customer feedback and apply it directly into our development process,” explains Brian. All of this input helps us create lighting that goes beyond functional—it’s beautifully crafted and made to last. The rich color on our Simone lamp is hand-applied by skilled ceramics artists in Vermont. We partner with American artisans who are passionate about building superior lighting. Working with family-owned companies in the U.S. allows us to bring you the best quality and fastest delivery. And it means you have a light with a story you’d be proud to share. The eye-catching shades of our Banded pendants are hand-blown by glass artists in Minnesota. Finally, by working this way, we can also offer you our best value because we have control over the materials, the craftsmanship, and our costs. That means we can offer a lower price for higher quality lighting. Shop all of our lighting here.